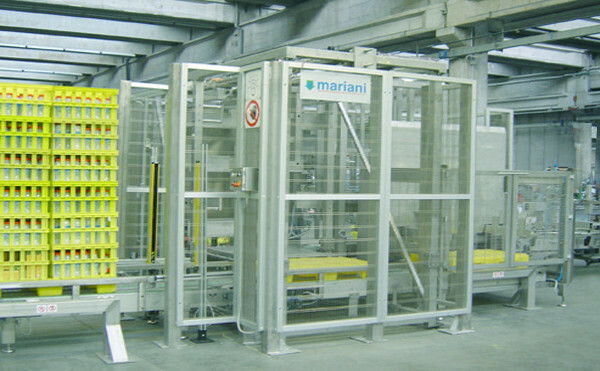 Automatic universal palletisers Series NPM Using a stationary pallet and withdrawing the loading plate system to palletise: cartons, bundles, cases, baskets, etc. 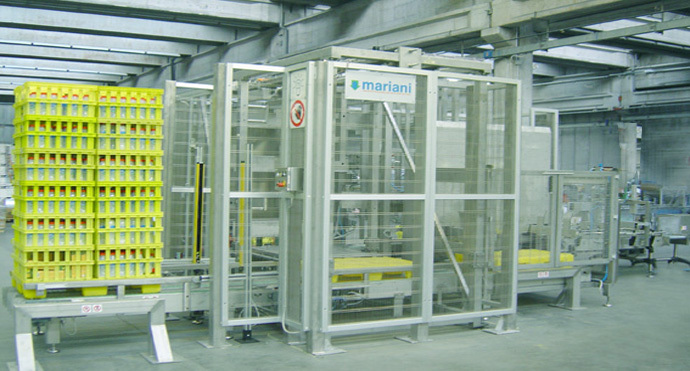 Product loading at low level which allows excellent visibility of the production cycle. The entry of these palletisers is at a comfortable operating height, i.e. with standard entry height at 900mm. Special versions are also available: layer pre-collection, single-double-triple product entry with different product types, operating speedup to 1500 products/hour. Standard pallet dimensions 800 x 1200 and 1000 x 1200mm.